Gunners keen on Juve strike pair. Arsenal have reportedly made early enquiries into bringing Juventus strikers Fabio Quagliarella and Alessandro Marti to The Emirates, The Express reports. Arsene Wenger is keen to add new options to his attack after Lukas Podolski and Olivier Giroud have failed to fill the gap left by Robin Van Persie. 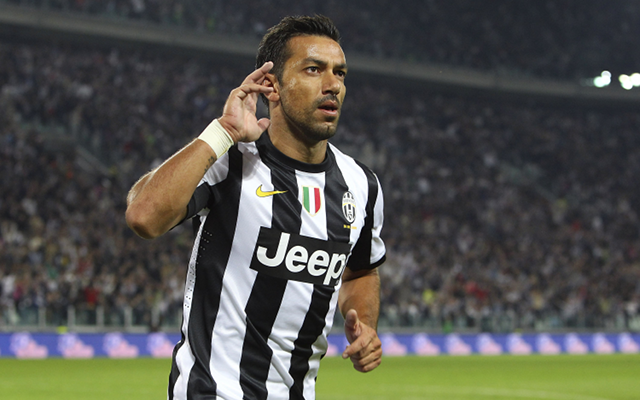 Both Manchester United and West Ham had been interested in Quagliarella at various points over the course of the season but the Italian frontman had moved to dispel any speculation by claiming that he was happy in Turin. However, that has not dissuaded Arsenal from trying their luck and enquiring into whether both forwards were available. Quagliarella, 30, has hit 12 goals in 21 appearances for the champions elect so for this season whilst the 28-year-old Matri has bagged eight in 27. Both are Italian internationals and have shared the striking duties amongst themselves as well as Mirko Vucinic and former Arsenal man, Nicolas Anelka. With Athletic Bilbao’s Fernando Llorente joining the Bianconeri this summer many believe that one of the club’s forwards will have to make way. The pair are both valued just a shade either side of the £10 million mark, and though it’s not know which of the two Arsene Wenger would prefer, they will continue to monitor both men and weigh up their options come the end of the season.